Finally! A day without rushing, clouds and rain. A day to walk around the barnyards with you. 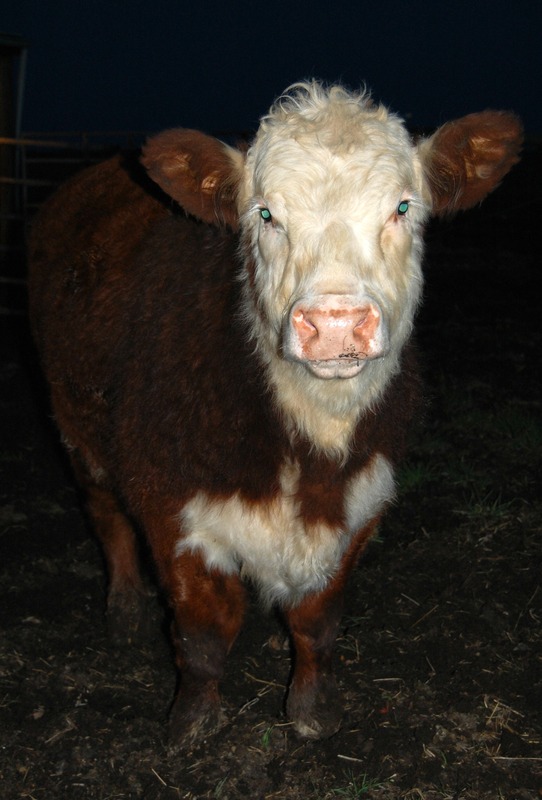 My in-laws bought two feeder calves to put in with our little George. 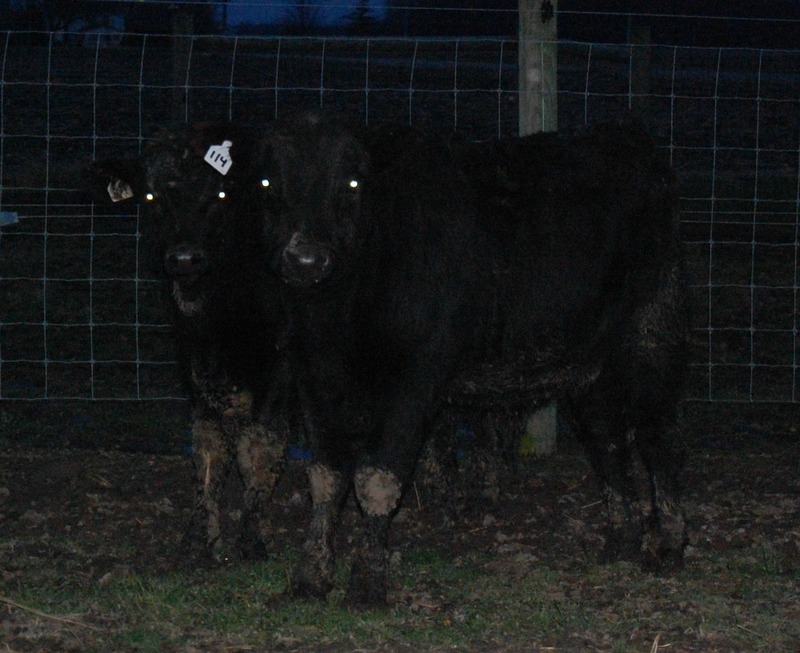 Taking pics of black calves in the dark results in their eyes reflecting the flash like little extraterrestrial orbs. A little like trying to photograph sheep in a blizzard, I suppose. Yesterday, I caught them posing for you, while the sun was shining. Jethro is also visiting. Let’s hope for mid-to-late-May kids! Of course, Happy is never far from the action. Notice the old barn in the background? It has really taken a beating this winter. Watching it fall, board by board, is so sad. I would love to see a picture of it in its glory days! Thought for the day: the barn isn’t falling apart all at once. The de-construction is a result of neglect and absence of maintenance. Lots to learn from that observation. 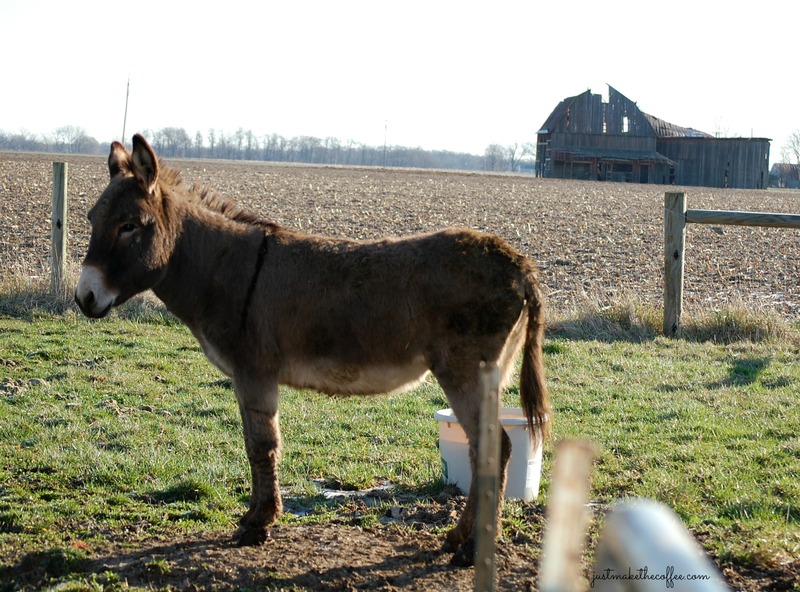 This entry was posted in Boer Goats, Country Living, Happy the donkey, Polled Herefords, Random Thoughts and tagged Boer goats, Feeder calves, Happy the donkey, Old barn, Polled Hereford. Bookmark the permalink. Happy New Year to you and yours! 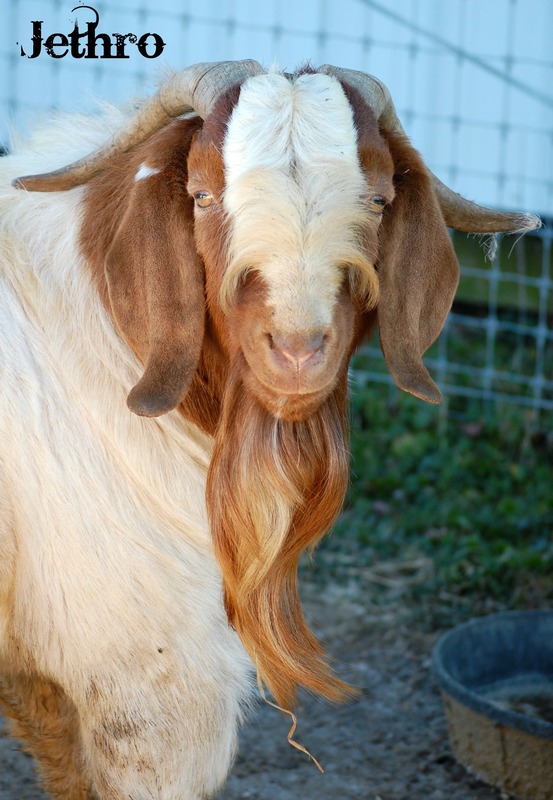 Always love seeing pics of your barnyard critters. It IS sad to see any structure go to ruin. Although they make for interesting photos, it’s still a sad thing to see. I have to keep their role in mind! Glad you smiled. Ah, yes, support… Spanx for barns?? Or at least a good underwire, or strap? I’m glad I don’t have horns on my head. Would make it hard to comb my hair. 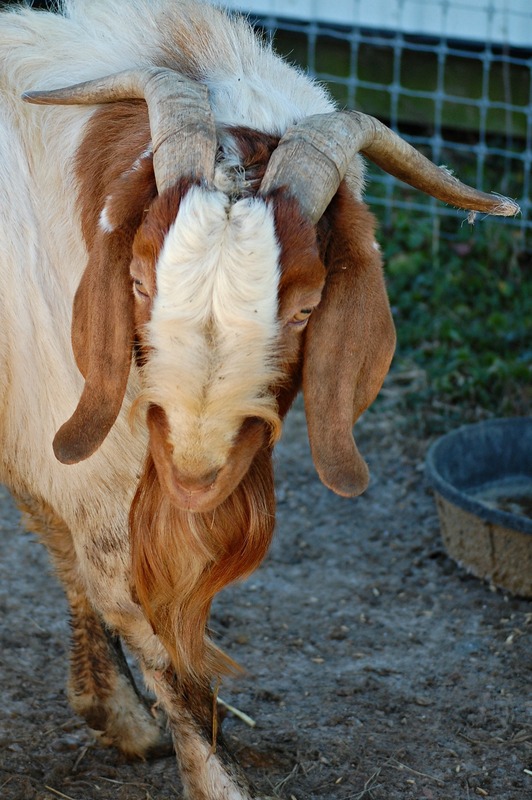 Jethro doesn’t worry about grooming! He smells like, well, a goat! 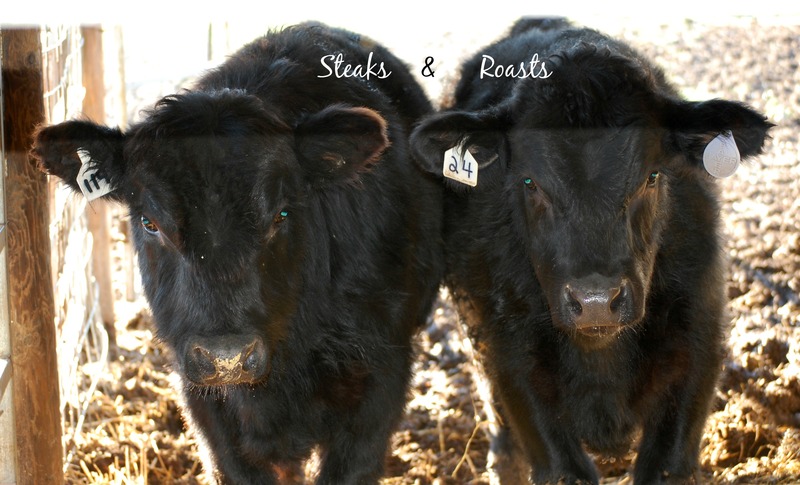 The calves, Angus-cross, are healthy and robust; bought from a good-farmer-neighbor. Quiet days are meant to be savored. Glad you loved yours, too. Great pics, that Jethro sure is a handsome lad! Thank you, Julie. Jethro loves attention, too. Great pics! Love the “Steaks and Roast” names. We had to name ours to help us remember their destiny. They were appropriately names “Chuck Roast” and Sir Loin”! Jethro is quite handsome. Should make for an exciting Spring! I love your names! Last spring, Jethro sired a very large single kid and two easy-kidding twins. I’ll take easy twins over having to pull a large one. Thanks for stopping by. Jethro is a handsome fellow. Hope to see some adorable little ones.